Want to know how a keyword is performing on YouTube, or how many views-per-hour a competitor is getting on a trending topic? Follow your passion through the power of keywords, whether it&apos;s Fortnite Season 8, Glitter Slime DIY, the Pause Challenge, or Mewing (it’s a thing), our tool can alert you to popular content in YOUR field, that YOU should be following. 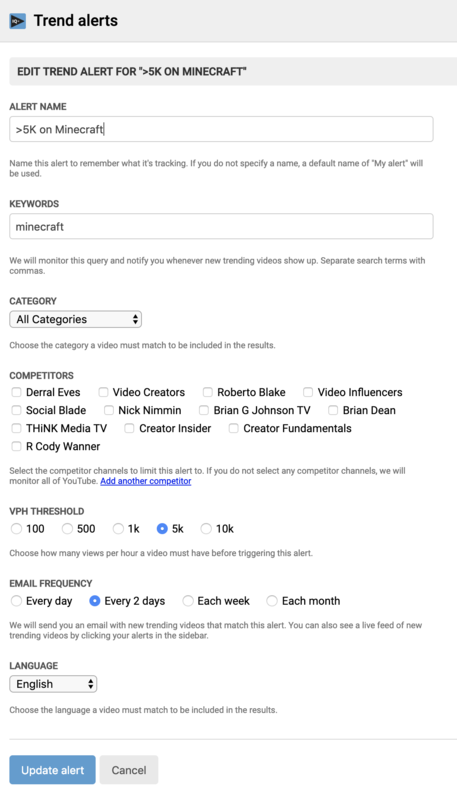 You can set up an email alert for the top trending videos on any topic (honestly, any topic) over the last week to give you a head-start on creating your own awesome content around any trend. Set up email alerts to keep an eye on trending topics every day, every 2 days, every week or every month. You can also set up a watch list of your competitors to see what videos are trending on their channels - cool, eh? And of course, vidIQ Trend Alerts spotlight what’s trending across the whole of YouTube right now. You’re welcome. Install vidIQ’s Chrome Extension, and you can set up an alert to send you an email in seconds! 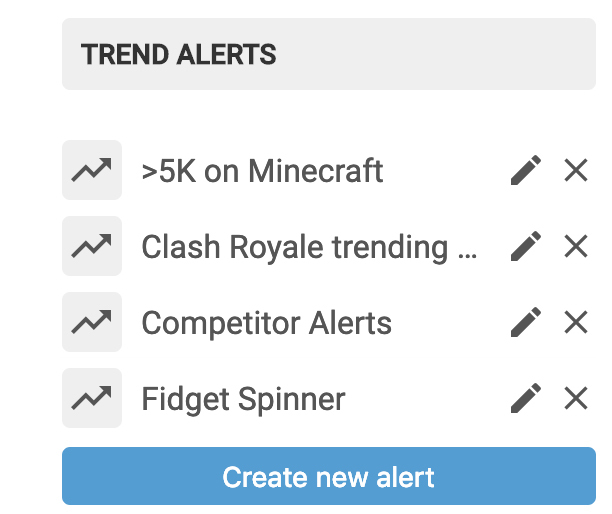 Just log in to your Creator Studio, click on ‘Trend Alerts’ and set the keywords, categories, and competitors you want to track, along with the views-per-hour threshold (important for trends that are going viral), and the email frequency you want.